MOSCOW - Container traffic between China and Europe spanning the territory of the Eurasian Economic Union (EEU) will almost double between 2017 and 2020, the Russia-led Eurasian Development Bank (EDB) expects. There has already been a sharp increase in railway container traffic between China and the EU, transiting via EEU countries — principally Russia, Kazakhstan and Belarus — but around 80% of deliveries are still made by sea. The growth of transit container traffic through the EEU depends on the development of trade between China and the EU, although EEU countries will need to expand their transport infrastructure and remove a number of barriers, the EDB report warns. The EDB’s Silk Road Transport Corridors report released on April 12 projects a jump in the number of 40-foot container equivalent units (FEU) transiting the EEU region from the 131,000 FEU recorded in 2017 to 200,000-250,000 FEU by 2020. The report noted that between 2010-2017 the transit of container traffic from China to the EU has grown from 7,000 FEU to nearly 131,000 FEU. It states that much of the ongoing expansion in transit would be dependent on freight rates, which currently average at $5,500 per FEU. 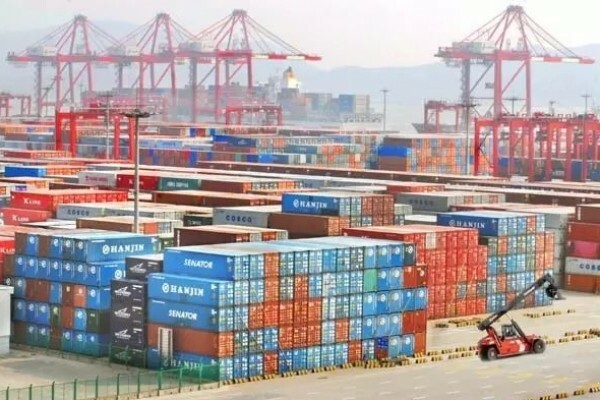 “Subsidy-driven reduction of China–Europe railway container freight rates by 30%-50%, has resulted in a 19-fold increase of container traffic,” the report says. Current rates encourage further growth of container traffic to 500,000 FEU in 2030, according to the report.